Thanks to the new App Store, iPhone owners should soon be able to download music making software officially. 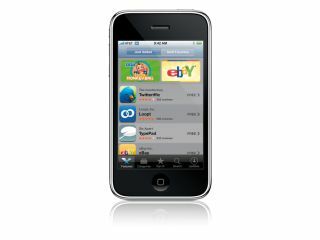 You'll probably know by now that Apple has announced the iPhone 3G - an advanced, more affordable version of 2007's must-have gadget. This will be available from July 11, and it looks like the ramifications could extend into the music making market. As well as launching the new hardware, Apple is also debuting the App Store, which will enable iPhone users to download third-party software applications. Given how many unofficial music creation apps have already been developed for the iPhone, it seems a cast-iron certainty that we'll now see plenty of official releases in this area. This raises the tantalising possibility of the iPhone becoming a viable platform for people who want to make music on the go. Virtual instruments and even full-on DAWs could conceivably be developed to run on the device - the possibilities are endless.